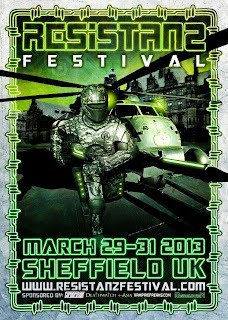 What better way to kick off the week than with reminiscing about another fantastic Resistanz festival? 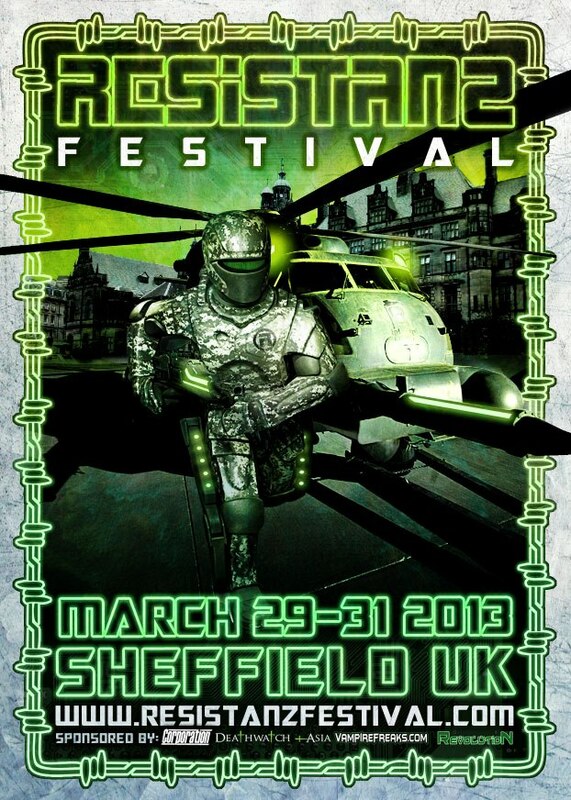 The three-year-old Sheffield event has fast become one of the hottest dates on the industrial calendar. And from the reportage of Kev as well as the musings of our new columnist Matthew it certainly lived up to the hype. (I also dropped a quick editorial column in as well but most of you don't care about that so I'll shut up). We also had news about the forthcoming Midlands Goth Festival in Birmingham from another newbie, Lydia, as well as another update on the roster for this years Wave Gotik Treffan. In reviews we got our hands on a cracking double disc compilation from hot PR company Juggernaut Services as well as some promising sounds from a new project called Lacy Rose. Speaking of newbies we've also added Jacob Ovington and Giles Moorhouse to the roster. If you'd like to join them either as a columnist or reviewer/interviewer (for music, films or books) please check out the section marked 'Writing For IVM'. Over on the social networks we've seen plenty of tour announcements from the likes of Depeche Mode, Unter Null, AlterRed and the line up for TritonFestival shaping up. There has also been a groovy new video from Rob Zombie and some awesome looking footage from How To Destroy Angels. That's pretty much it for this week but keep an eye out on our news feed on Monday as we'll have an brand new EXCLUSIVE COMPETITION for our faithful readers!